Rapper, P Diddy, is a victim of identity theft. 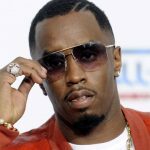 P Diddy’s personal identifying information, including his American Express card number, social security number and internet passwords and information from his cell phone were posted on the Internet. His cell phone information included the telephone numbers for his celebrity friends. P Diddy has begun to warn his friends and followers to ignore his tweets, emails, text messages and even voice mails. Since his identity theft has become public, P Diddy has retained several data security specialists to find the hacker and protect his personal information. Other celebrities have been victims of identity theft recently, including Christina Aguilera and Scarlett Johansson. The identity thief related to the Aguilera and Johansson matters has been arrested. While celebrities may be on the credit bureaus VIP list, they are not immune from identity theft, and neither are you! For more information about protecting your identity, contact identity theft attorney Micah Adkins.